As 2019 almost ends its’ first trimester, it is the perfect time to discuss e-commerce trends. Interacting and purchasing goods is now an endless 24/7 cycle. Because of this, the customer journey has also adapted by merging online and in-store. 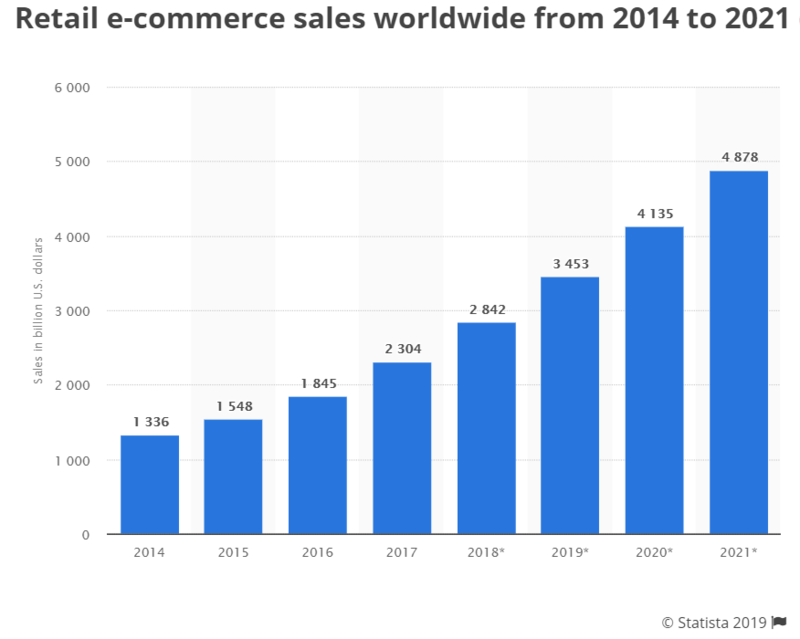 Worldwide it is estimated that retail e-commerce sales will reach $4.8 trillion. Also, the number of online buyers is expected to grow. 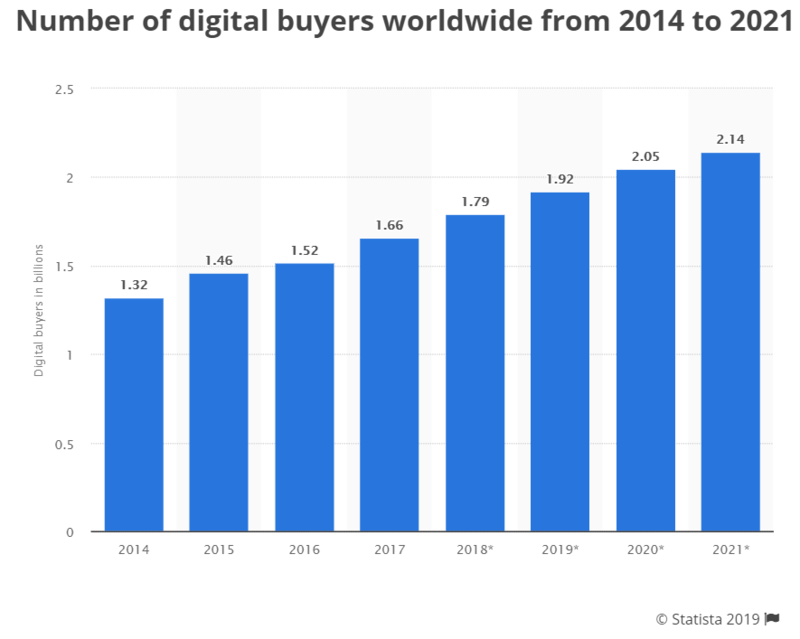 In 2018, there were 1.79 billion online buyers. By 2021 it is predicted to skyrocket to 2.14 billion. Artificial intelligence, assistants, and chatbots are designed to improve the customer’s overall shopping experience. They can all carry out various processes that were previously assigned to a human and solve them more efficiently. Augmented reality helps to fill the gap between online and brick-and-mortar shopping experience. Augmented Reality shows a computer-generated sensory in the real world and can assist customers in the decision-making process. Nowadays customers feel like online reviews and influencer statements are not enough. Today’s technology allows the use of augmented reality, 3D imaging, virtual reality and more to make contact with a product from the comfort of our smartphone or laptop. E-commerce companies can use personal data (such as purchase history, page visits, search history) to improve the understanding of the customer’s interests. Personalization attracts clients and helps mimic the offline shopping experience. Also, this is an opportunity for app developers to create a customized and flexible fit finder or a product questionnaire app. Video content is a way to interact on a more personal level with the customer while engaging with him. The amount of voice search is overgrowing. Considering that voice search queries are more extended than typed search, this is an opportunity to improve the products’ descriptions. More and more consumers will be able to buy directly on social media platforms, and they will adopt this habit. It is also expected that private messaging services (WhatsApp, Facebook Messenger, Snapchat) will become transactional. A new social media feature is Instagram Checkout. Through this, you can select your desired options (size, color) and you can pay without leaving the app. The delivery information needs to be given only at the first purchase. When the order is completed, notifications about delivery will come directly through Instagram. 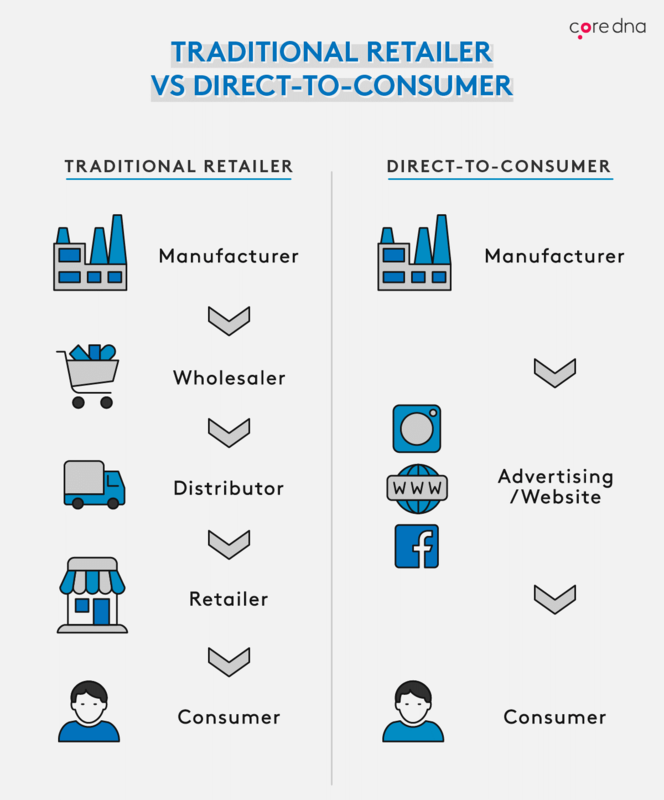 This approach has some benefits, like forming a closer relationship with the customers, the ability to get products to market quickly and control over the brand’s reputation and products. The process of buying will be standardized by the payment companies, making it quicker, simpler and more secure. It is expected that bundling products and subscriptions will be a significant trend this year. Including a QR Code scanner built in the camera of newer versions of smartphones is an essential step forward in creating a direct brand-to-consumer relationship. The customers can scan the code, and they will get an option to click a link to be taken to the desired website. Consumers are becoming more aware of the impact that online shopping has on the environment. Efficient packaging is a company’s effort to reduce waste and will help win customers’ sympathy. At the beginning of the year, we published on our Facebook page a video about E-commerce trends in 2018. You can see it below.